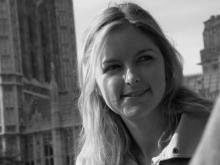 Dr Candice Howarth is a Senior Research Fellow at the University of Surrey and Knowledge Integrator for CECAN. Her research focuses on climate communication, the science-policy interface and nexus-related decision making. She has extensive expertise in designing and implementing innovative methods for collecting and analysing qualitative and quantitative data. Her PhD explored the role of climate messaging in overcoming perceived barriers to behaviour change and she has led research on a number of projects on science communication, co-production, practitioner evidence and the IPCC process, and nexus shocks. She is the Nexus Network Fellow leading research on Nexus shocks and informing decision making. She has worked in the Department of Energy and Climate Change, the Cabinet Office and the European Commission. She is a member of the UCL Policy Commission on Communicating Climate Science, she set up and chairs the Nexus Shocks Network, sits on the Royal Meteorological Society Climate Science Communication group, and is a committee member of the BSA Climate Change Study Group. She has published in Nature Climate Change, Environmental Science and Policy, WIRES Climate Change, Public Understanding of Science. She is the Editor of the International Journal of Climate Change: Impacts and Responses and sits on the Editorial Board of Environmental Communication.